How do you do it? Our Secret Revealed! Posted by Disciple of Christ, Wife, Mommy of 5 blessings & NM Top Earner. Motherhood in the trenches…THAT is what has been going on lately in my little world. So…Abby is turning 1 this coming week and she is a total joy to be around. This sweet girl has a way of giving you the puppy eyes that make you melt. She has a smile that reflects God’s goodness in my life. We almost didn’t have her. I would have missed the world. Thank you God! You are so faithful to your children. Abigail is the 5th of the Lightner Crew and without her my life would not be complete. Franky is an incredible young man. This young man is a testimony of God’s amazing GRACE! Had him when I was 18 and absolutely clueless about motherhood. I thought I knew it all but little did I know…I was beyond foolish and arrogant to think I could handle it on my own. I will be forever grateful that God brought be back on my knees before Him when I was 19. I didn’t have much chance to “mess it up”, if you know what I mean. I hit the ground running with him. Teaching him night and day about God. It has proven to work so far…the Bible that is. Train a child in the way he should go… He is one of the most well rounded kids I have ever met. He is such an incredible brother, hard worker and devoted to God and his family. I am saying all this because what GOD has done in this child’s life deserves to be praised. Listen to what I am saying…WHAT GOD HAS DONE…no, not me…not anyone else. God has been the one to personally intervene in Franky’s life to mold him and shape him into the young man he is today. God deserves ALL the glory. I could have messed it up royally…I would have too! He stepped in, with Grace and Mercy to parent Franky through me. For that, I will be forever grateful. I can say I have seen God in an amazing, real and tangible way in this life…in my sons life. The toddlers (Lex, Jade and Ken) are schooling. They are doing PreK 4/5. They absolutely love it. They are memorizing scripture, old testament books of the Bible, the Apostles and biblical feasts. They are brilliant. They are sponges! I see God so evident in these little one’s lives it makes me cry at times. Their innocence, how outgoing and emotionally healthy they are. They are being raised in a bubble… a bubble of NT christianity. God is doing amazing things in their lives at such a young age…Jade shared the gospel with an EMT on her own at 3 years old. I cried…I cried and worshipped God. I can’t help but sob at the greatness of the Creator. The One who rules the Universe yet takes the time to love, guide and protect my little blessings. To see God at work in their lives is my reward. My greatest joy! That is the question I am most asked. Well, here is the secret sweet friends…GOD does it through me. I can’t do it. I really can’t! I am not eloquent enough, smart enough or spiritual enough to train warriors for Christ. The holy spirit in me and my precious husband IS the one doing it so to GOD goes all the glory but I will give you a few pointers on what we do in our home to train our children to be godly offspring. These past few years have been a whirlwind. Goodness gracious, at times I thought I was not going to make it out alive! LOL I was having newborns (via C-section) and toddlers every single year for the past 4. I was fighting adrenal fatigue and at times (If we are going to be honest) depression. I couldn’t see the light at the end of the tunnel. I couldn’t pray or read my bible at times. I honestly had no desire. I fought spiritual depression but through it all I begged God to give me the desire. Like Jacob, I wrestled with God until’ He brought me to the other side…This was mostly my prayer in those days ” Lord, I don’t want to pray, I don’t want to read my Bible, oh God I am so exhausted…please don’t let me go and give me the desire to be close to you again.” Other days it was a mere “Ohhhhhhh GODDDDDDDD Where ARE YOU!?!!!!! !” The holy spirit made intercession for me most of those days because I couldn’t myself. God was faithful to my relentless “Oh God’s show up for me’s”, and “Oh God where are you’s!”. That is all I had in me. Exhaustion will bring about depression at times. See, just because we are doing what God wants us to do doesn’t mean it will be easy. It will be a piece of cake with angels playing harps in the background. Sometimes what God calls us to do takes us into tough situations…a battle and without Him sustaining us we would lose. looking back now…even in those seasons of spiritual dryness and what seemed like God had abandoned me (more like I went somewhere because God was right where I left Him)…He was the one who was holding me together. I cry…oh dear friends I cry when I look back at my life and see His hand through it all. How faithful. How amazing. How gracious is the God I serve!!!! Even when I left Him, when I was unfaithful to Him and His word, even when I had unbelief…He loved me still. He was still guiding my life through the valley. IT WAS HE THAT CARRIED ME THROUGH! What a blessing to see this now. If you are in this season in your life where you are exhausted or just in a valley…keep pushing through. If you don’t feel like praying, ask God to give you the desire. If you don’t feel like reading the Word, ask Him to give you the desire again. Be real with God. Genuine hearts that seek to bring Him glory is what he looks for. A few years back we decided to get rid of cable in our home. We did not want our kids to be influenced by the culture. A westernized culture that seeks to destroy the family model. I strongly believe parents overexpose their children to the world in order to teach them how to “function” in it while they are younger instead of setting a solid foundation and biblical worldview first. See, you wouldn’t send your child off to be a missionary in a distant country. Why? Because they are not equipped. How is it any different for the young minds that are being molded by everything around them from a young age? The formative years are THE MOST important years of a child. Their entire lives will be determined by how they are raised their first 5 years. Their choices, personality, worldview and even issues will be established by age 5. I am not the only one saying this. If you do your research you will see renown parenting authors and pastors agree in this. Proverbs 4:23 ” More than anything you guard, protect your mind, for life flows from it.” See, what you hear will start taking root in your mind and eventually your heart. Your actions will be dictated by your values established in your heart. Guard your precious little one’s heart and mind by filtering in only wholesome entertainment. We do not listen to secular music. At such a young age I want my children to be surrounded by wholesome music. We do listen to Jazz, classical or Andrea Bocelli. 🙂 My little girls do not know who Hannah Montana is or any other disrespectful, inappropriate “role model” for little girls out there and THAT is the way I want to keep it. Do they watch Princess movies or secular cartoons? YES! We have netflix so what we pick is commercial free and appropriate in content. Will we be perfect in every single choice? Probably not. I am aware of that. This is not about perfection…this is about making sure we are doing our best as parents to give them the best chance at life possible. My son plays video games, these are chosen by him and dad. He plays shooting games (he likes shooting like most boys! ), but dad makes sure they are appropriate for his age and maturity…if they need to be on mute…THAT is what happens. The point is to gage where your child is at and as they grow give them more privileges along with responsibilities. Letting the rope go ever so slightly as they grow…allowing them room to breathe according to how they have been trained and what they have earned. We read to them Bible stories every night. 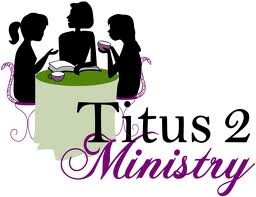 This is a great time to bond with them and share the gospel as God leads. Once a week we have family night and another we have bible study night with the toddlers and Franky. Dad reads from a study series that asks comprehension questions at the end. Franky participates along with doing bible study with mom and dad. Praying together is a sweet gift from the Lord…we do not take it for granted. We are very conscious of what our little girls wear. As they grow into being young ladies, I want them to be fashionable yet modest. I have to do this by example so I am working diligently to eliminate anything from my wardrobe that can be a stumbling block to them. If you teach them modesty from a young age, it will not be difficult as they get older, since this is ALL they know. It is ingrained in them. During homeschooling, academics are very important to us. We want them to be the best at everything they do yet scripture and our faith is at the forefront of our teaching. If you have a solid biblical foundation, it is much easier to succeed academically. Believe me…this comes from someone who teaches her toddlers Biology. I love learning, I love educating my children and have high standards for them. NOTHING is more important than their relationship with God though…NOTHING! MOST importantly, I spend the day kissing and hugging my kiddos. There are a million practical things you can do with them but nothing will impact them as much as your genuine unconditional love. As a wife and mom, I know my role is to be my husband’s help meet and to train my children to be godly offspring for the Lord. Nothing comes before this calling. No ministry, no need is greater than my God given call to train up the next generation of kingdom warriors. Motherhood is a calling. It is not a hobby…It is not an option you have to either embrace it or ship your kids out. If we are going to revolutionize the world and impact culture for Christ it must be done in the homes! We no longer need to wonder why MOST of the evangelical kids walk away from the faith during college years. In order to impart that faith to our children, we must first possess the faith! How do we do this? By living out NT Christianity. Our kids don’t want to be lectured on how to live if we are not living those truth’s ourselves. THAT is hypocrisy. Hypocrisy will turn them away from Christ faster than any sin imaginable. We take very seriously the responsibility God has given us to raise Godly offspring. That doesn’t mean we will be perfect…by no means, but we certainly will do our best to follow His commands and to pour out our lives as a living sacrifice before Him. Sometimes that means we need to give up ‘our’ dreams and ‘wants’ to do everything He has prepared for us. Being a homemaker is a tough job. Homeschooling is even harder but both so rewarding. I honestly believe that the reason families are falling apart is because women have left the homes in exchange for finding “fulfillment” in the world. After all isn’t that the same lie satan sold eve? God was holding out on her?! He convinced her what God had for her wasn’t good enough. He made her doubt God’s good heart in the roles He had created. We have been sold a lie…the lie that we simply don’t have enough patience, money, brains or whatever else to educate our own children so we end up shipping them off to someone else to do our job. Listen sweet friends, I am not saying this in a judgmental manner…I am saying this because I am tired of satan lying to us. ALL of us. We MUST reclaim the truth’s of God and His promises. We must come together and encourage one another in this journey. We must put an end to the lies and reclaim the family for GOD!!!!! Will you start with your family today? Here is what I can promise you…tons of sleepless nights (may or may not lead to depression! ), lots of crying and needs to be met, everything you are poured out to be the world to a few tiny people, you may or may not have time for 10 minute showers…and most of your day will be spend planning, serving and loving those whom God has given you BUT the rewards are so very worth it! JOY UNSPEAKABLE and KNOWING YOU ARE IN THE MIDST OF GOD’S WILL!!!! Nothing compares! I promise! 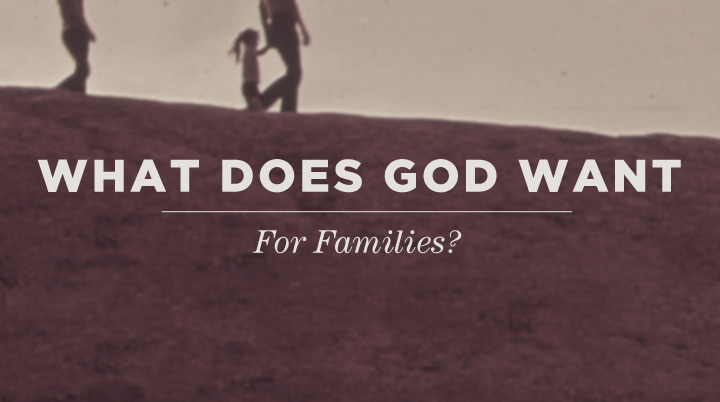 What does God’s model for the Family look like? 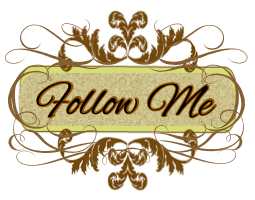 I invite you to visit the links below…you will find inspiration and guidance in your journey! 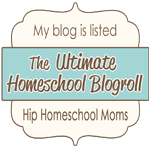 Motherhood is a Calling and where do your children rank? A stay at home mom’s identity crisis. A MaMa’s Struggle with SELF-Esteem. The Guiltrip of Motherhood – Guilt free zone! A quiver full…We claim we trust Him but do we really? Perspective…we all need it desperately. Desireing to be a Woman after God’s own heart. Simplicity is Beautiful…and Beauty is in the Simple things! Ann Voskamp’s One Thousand Gifts Biblical Review. To train a child: Who’s responsibility is it anyway? The case against public schools. The real agenda behind the public school system. Motherhood…is this all there is to it? I am not conformed, so I raise my kids in a bubble! How to train up a child. Train them to suffer well. A series on love all teens should listen to! Christian Parents dealing with rebellious Teens. Proverbs 31 Woman…A heart matter. 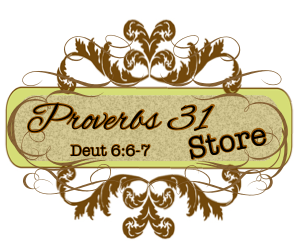 Proverbs 31. A note from my Husband. A Selfless Heart…Virtue of a true Beauty. The church has left the building! Strongholds, the truth to win the battle. Courage under fire & persecution. A poem to my son, Franky. The truth about the Rapture. The rapture & the feast of Trumpets. The different denominations & what they believe in. Where the Cain’s wife come from? Calvinism, the TRUTH you can’t refute. You are NOT my sheep, says the Lord. The troubling verses against the eternal security of salvation. The Catholic Church & The Bible. What The Bible says about Mary. The Apocrypha: Is it scripture? Reasons why the Apocrypha doesn’t belong in the Bible. Transubstatiation and the real presence. Is the Lord’s supper a representation of the sacrifice? Places to find my articles/quotes. 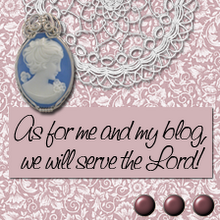 Best Christian Blog of the Week. A WARNING TO THE CHURCH! Is He Lord of your Life? Submission – the modern call to unbiblical doormatism. Intro to the book of Matthew. Blood Red Moon and the Fest of the Trumpets 2015 Everyone should be ready for Christ’s return! El Shaddai Ministries End time Prophecy! John Calvin "Institutes of the Christian Religion"